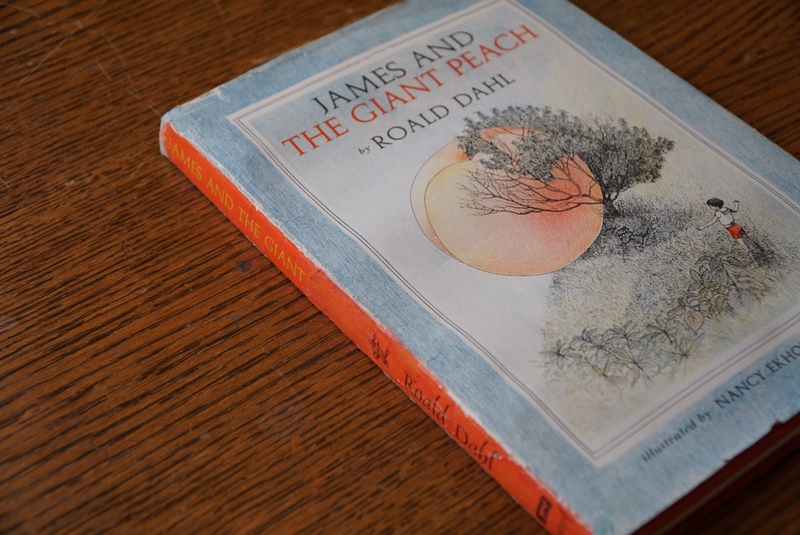 James and the Giant Peach – First Edition Roald Dahl classic uncovered by intern in Library of Congress Young Readers Center. What started as a typical day in the Young Readers’ Center on the desolate lower level of the Library of Congress (LOC), ended with a monumental discovery and a very excited intern. While shelving books on autopilot as she routinely did, a cracked and discolored spine caught Phebe Miner’s eye. And while she didn’t know exactly what she’d found, her gut was telling her it was important and her breath caught. Turns out, she’d uncovered a first edition. Between Matilda and The Magic Finger, the red-orange spine of Roald Dahl’s classic, James and the Giant Peach, stood out. As Miner gently pulled it off the mahogany-colored lower shelf, several things spoke to the treasure she had discovered. She and another intern “Googled” from the cheery Young Readers Center (YRC) reading room. The room was established as an interactive reading room in 2009 by Congresswoman Debbie Wasserman Schultz, and oddly, is the only place one can touch books in the world’s largest library. Those searches revealed that the aged book was a prized first printing of the beloved children’s story. Miner says she was giddy as only a bibliophile can be. “I get to tell my boss that I found a first edition,” she recalls nearly jumping up and down to this day. Following discovery, the book was restored by an LOC restorer in the bowels of the Jefferson Building. Holes in the dust jacket were repaired and creases flattened. And while the book doesn’t look new, it’s one of the center’s most prized possessions. Although its path to the bookshelf in the YRC is unknown, the book, printed in 1961, is believed to have made it to the library during the acquisition and donation process setting up the center. Children and adults are welcome to visit the center, located down a desolate, arcaded hall on the ground floor of the library and pull a book off the shelf, curl up on a comfy floor pouf and read one of thousands of volumes in multiple languages. Visitors to the center can also peruse advanced reader’s copies from a number of well-known children’s authors. If you have a discerning eye, you might just find a lost first edition too. Cat Holladay is a freelance family travel writer whose contributions have been featured in RVing Planet, Washington Post, Digital Travel Guru, and Creative Travel Guide among other publications. She is currently traveling the US in a Class A motorhome with her husband and son. You can follow her adventures on http://www.thecompassiscalling.com. Born in 1916, Roald Dahl was a British novelist whose books have sold more than 250 million copies worldwide. His children’s books feature unsentimental and often dark storylines which champion the kind-hearted and are typically told from the child’s point of view. The books often see the triumph of the child – reiterating the good ultimately wins over evil sentiment.